Kodu, the new game that teaches kids (or anyone) the basics of programming in a visual environment, is getting closer to its public launch. 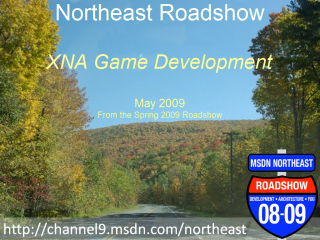 On Sunday June 28th, the game was released into “Peer Review,” which means that the independent developers over at the XNA Creator’s Club will now be evaluating the game for stability, appropriate content, and copyright issues - just as they do with any other community-created game. Assuming all goes well, after a certain number of developer sign off of the game, it will be made available for sale in the Xbox’s Community Games Channel. The absolute soonest this could happen is Tuesday the 30th, since it takes 48 hours after approval for a game to go live on the service. If, on the other hand, the game has any problems or bugs that need to be corrected, it will obviously take longer to arrive. We hope that’s not the case! Fingers crossed! 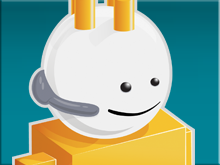 In any event, someone will update the Microsoft Research blog if any issues arise, so stay tuned. Otherwise, log on to your Xbox later this week to (hopefully) try Kodu for yourself. Want to Compare Search Engines? Not only is Kodu fun and educational but it really differentiates XBox from the rest. Win Win for everyone.